This manual is currently under development. Requests for new materials can be sent to support@gibbonedu.org. 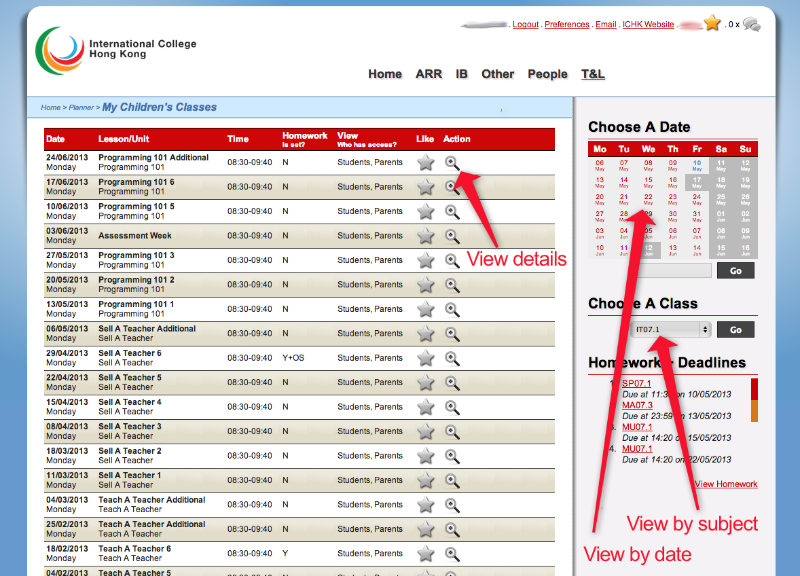 On logging in as a parent, you will see the Parental Dashboard: this aims to give you a quick overview of what is happening for each child you have in the school. 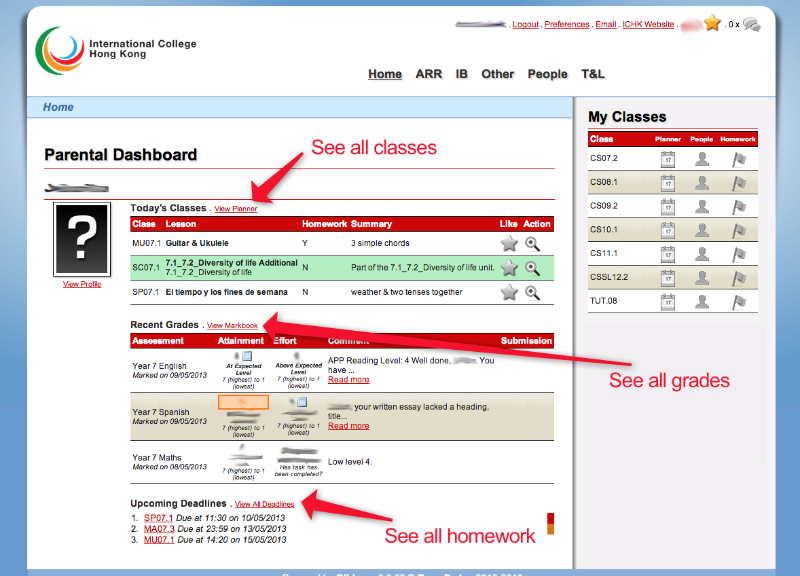 As shown above, the dashboard shows you a summary of Today’s Classes, Recent grades and Upcoming Deadlines. For more detail use the highlighted links. 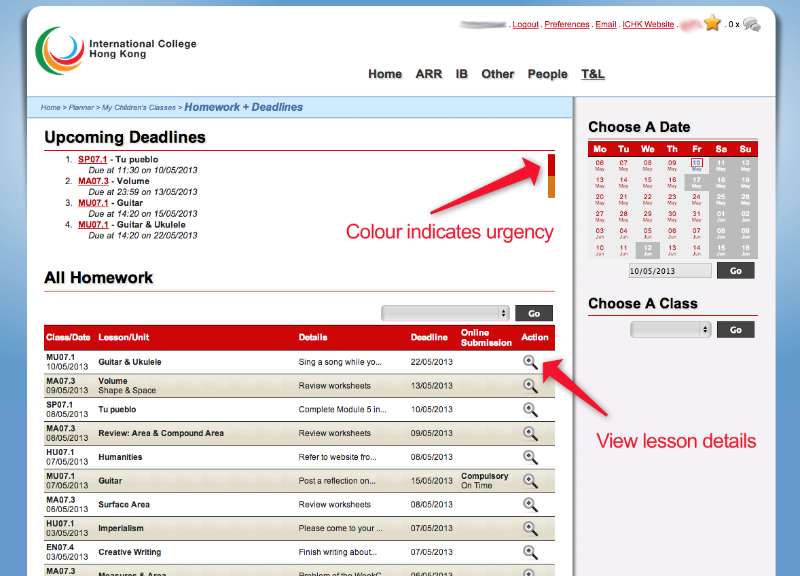 Use icon to select a lesson and view more details. Once inside a lesson you can post chat messages, available to student, teachers and other parents. 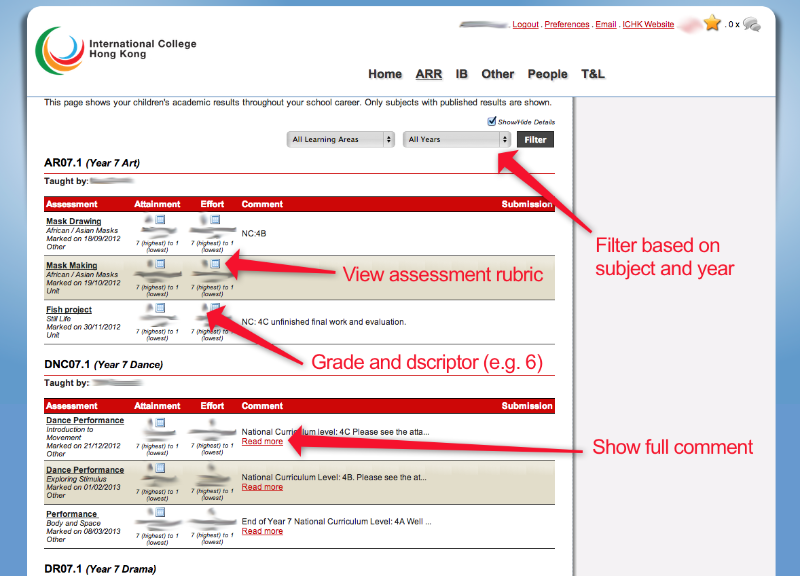 You can use the icon to give positive feedback on a lesson (this helps teachers to know what you like). Personal Data - such requests can be sent for both students and parents, and includes contact information. Medical Data - such requests can be created for students, and are especially important in keeping students safe.